On two occasions on the same bus route, I couldn’t stand to watch late-middle-aged persons (eyeglasses perched on forehead in one case) struggle to read their iPhones. I took hold of their phones for a moment each (I got permission) and brought up the well-hidden screen for text-size selection. They picked the bigger fonts they’d needed all along. They were so grateful it was embarrassing. The same thing later happened, though not on a bus, with an 85-year-old who was also struggling. Another senior knows he can send a text message to a certain phone number containing the ID number of a bus stop, but had no idea that was the worst possible way to get a transit prediction, nor that transit predictions could work everywhere, nor what to do if he were in an unfamiliar place and/or could not find the number of a bus stop. 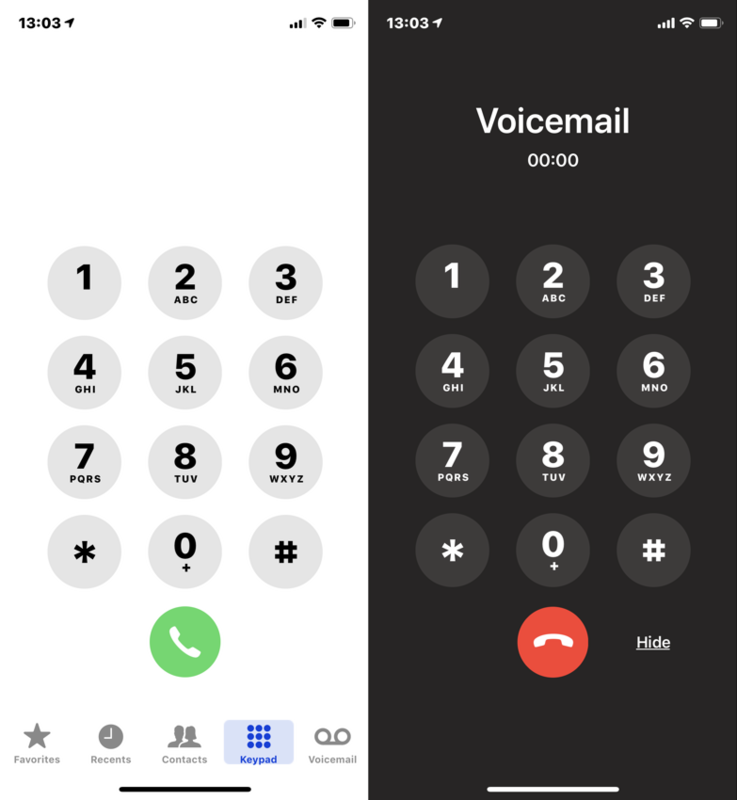 My almost-blind friend upgraded from an iTouch to an iPhone 8, then couldn’t check his voicemail for weeks because iPhone keyboards and keypads randomly change or invert their colours and he simply could not see or locate the number buttons. (UPDATE) A full day after publishing this posting, I remembered that even as it was happening I forgot one could ask the iPhone for directions. People just blank on things. I had to tell someone who uses his Apple Watch for notifications and daily fitness tracking that his watch could give him directions and that his phone had a Health app. I had to explain to him how to search for it. Very tuned-in people learn how to use new Apple features by watching them being demonstrated onstage during Apple keynote events. Then there’s everybody else. Don Norman told us several times several years ago (Ⅰ – Ⅱ – Ⅲ) that iPhones hide their functions. Apple never admits it makes mistakes. The next time you hear Tim Cook or somebody recounting a tale of a guy [or a young mom] who crashed his car and was able to call a paramedic using his Apple Watch, think instead of millions of people who cannot use their phones for basic or truly serious needs. With an alleged one billion “iOS devices” in use over a decade, Apple’s mistakes are the butterfly effect writ large. Anything that people could get wrong, or simply not know about, will be gotten wrong or will go unknown by tens of millions. In the iPhone context there are things you should reasonably expect are possible without any reflection (my iPhone has a calculator). There are things that should have been obvious in retrospect (my iPhone can give me directions). You shouldn’t be afraid of your phone. You shouldn’t feel inhibited from just trying things out. But we are. Me, too. 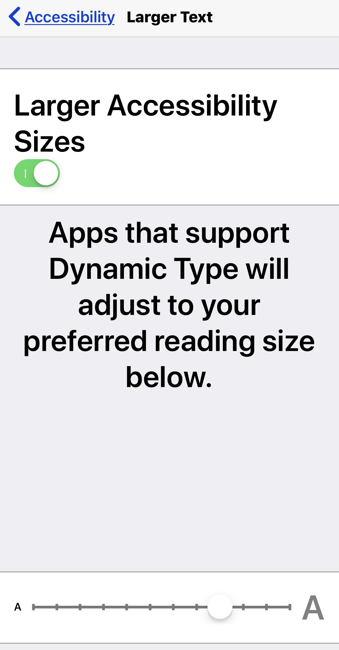 If Apple actually cared about accessibility (it does not), on the setup screen for every iPhone, iPad, and iPod Touch would be a step you could not skip wherein you have to choose your preferred text size. And it would state explicitly that if you have to pick a size that seems a bit too big or one that’s a bit too small, go bigger. If anything in the Apple “ecosystem” reeks of the kind of Windows autism that repels Macintosh supremacists, it is every iPhone’s insistence on interrupting you just because you passed by a wifi router. Try this experiment. Take any kind of ride through an urban setting passing coffeeshops or dense residences like high-rises and condos. (Or just businesses. Everybody has wireless Internet.) Hold your phone and pretend to do something with it. You’ll be interrupted endlessly. The terminology is painful across the board. “Numeric passcode” and “password” and “alphanumeric passphrase” and “alphanumeric” are all terms we shouldn’t have to use. The interface biases you almost irrevocably toward a numeric passcode instead of a password. My blind friend had no idea what was going on one day when my login screen came up showing a keyboard. Note that passwords are so unusual there was a time when you couldn’t log into your phone if you were Greek and used one. Yes, it stands to reason that passwords don’t have to use the characters on an American computer keyboard. Even Apple did not know that for a while. Seniors love iPads, but seniors and unhealthy people in general have a serious pressing need to fill out the Medical ID section (not obvious) in the Health app (also not obvious). Exactly the people who need this function are the least likely to use it. We cannot, and should not, rely on these seniors’ grandkids or caregivers to do it for them. Fill out these fields and not only could a paramedic, or just a bystander, learn what medical conditions you have if you’re unconscious, they can phone your emergency contacts (and also call an ambulance via 911 or local equivalent). Somebody could steal your phone while you’re lying half-dead on a sidewalk, but somebody else could give you a serious headstart on getting your emergency taken care of. I have had to use both of those features. Within broad limits, there is no need to get lost ever again if you have an iPhone. Now specify for me how many people know that. You really need to tell the phone, and/or Siri, who you are and who your family members are. This involves creating a contact card (what’s that?) for yourself and linking to it. Then all your family members need their own cards, and you have to laboriously specify their relationships to you. Another friend really did have chest pain in a foreign country and it never occurred to him to call anybody. So in fact, Apple, a trillion-dollar corporation, has to put considerably greater resources into telling people how to set up their phones for emergencies so they will actually use those phones then. Again, this means forcing people to do it upon setup and making it exceedingly clear, in writing and in video, what their phones can do for them when they need their phones the most. As a simple example any non-autist could have figured out over the last half-decade of iPhone development, say the following to Siri: “I’m in trouble.” Or try “I need help.” Shouldn’t those do something useful? Further, if you set up a contact card and identify yourself as the owner, anyone can ask Siri “Whose phone is this?” if they find your lost phone. Last but not least, almost nobody knows you can designate some correspondents as “VIP,” so that their messages and E‑mails really get in your face. It’s also so hard to do that I have to Google it every time. Seriously advanced security features like two-factor authentication (which kind? Apple offers two) are exactly the sort of thing only experts who don’t need them will ever set up. Observing what are dismissively called “normal people” (or “users”) for more than a decade, the one thing iPhone owners are proud they know how to do is force-quit apps. They also know how to set a ringtone and choose atrocious wallpaper. And that’s it. But they aren’t to blame. Swiping from left and right edges is barely known as being equivalent to Back and Forward commands. You can directly manipulate almost anything on the lock screen. (They don’t know it’s a “lock screen.” They don’t know what they’ve done to their phone is “lock” it. They know they haven’t turned it off, exactly, except for the minority who completely power down their phones every single time they stop using them. Again, my blind friend was one of those people at the outset – because he believed what a Windows/Android user had told him about “battery life.”) They don’t know that those aren’t pictures on their screen but objects that can be manipulated. Exception: Music or podcasts, because the play/pause icons are self-explanatory. But try getting someone to clear a meeting reminder, or respond to a message, right from the lock screen. Only experts know that. What can press-and-hold do that people don’t know about? Copy and paste. I insist that few know this function exists. (UPDATE) I forgot to mention that you can hold down on the keyboard to turn that keyboard into a trackpad manqué. So hard to use (and, of course, completely undiscoverable) that, while demonstrating it to my blind friend, I had to Google a raft of articles to figure out how it worked. Move apps around. Creating a folder by dropping one app onto another is the second-worst interface feature of iOS. (Nº 1 with a bullet is undo; see below.) Pressing and holding on apps is what people do by accident. In fact, pressing and holding happens only by accident for non-experts. Did you know drag-and-drop exists on iPhones? I do. I can’t get it to work half the time. It requires a lighter press than 3D Touch but more than a tap. The user interface for call waiting (another example) not only is confusing on its face, it’s impossible to use while you’re talking on the phone and after you realize there’s another call coming in and while you’re trying not to miss that call (or are annoyed because your phone interrupted you). Find a spot in Springboard (what’s that?) with no apps or folders. It turns out you can swipe left (in most languages) from the home screen and Search appears there, too – but, due to banner blindness, it’s functionally invisible with the avalanche of coloured and vibrant items below it. I know it’s there and I basically never see it. The two hardest things to get onto or off of an iPhone: A photo or an URL. The simplest task that is functionally impossible to do (also on Macintosh): Play exactly one song. The most advanced Apple experts – one, actually – had no idea the following was possible. And, as with so many features, the right way to demonstrate them is via video, not a written explanation. You can select lots and lots of photos. Albums in the Photos app are opaque and basically go unused; that’s why Camera Roll had to be reinstated after it was removed for our own good. Still, go into any album. (Except shared ones, and except a few other kinds.) Hit the Select button. Tap the first photo. Touch and don’t lift your finger from the next photo, then drag immediately to the end of the row. Keep dragging straight down through rows to select more rows. Need to deselect a few? You can. Just tap them again (and you can drag through them). Now you see with Adobe Lightroom has a select-all checkbox. 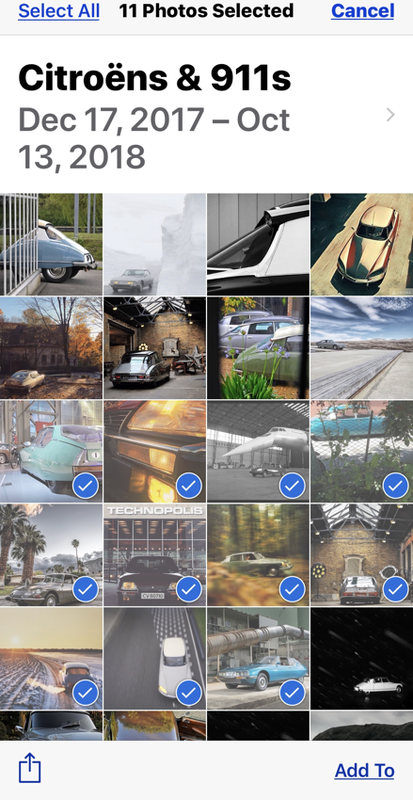 But Apple does know, at a preconscious level, that selecting many or all pictures is an issue: In the Recently Deleted album, whose location changed in iOS 12 such that I couldn’t find it, you can Delete All in two presses. Apple Pay. Inscrutable and scary even in countries that have had chip cards forever, like Canada. Remove “apps” from Messages (that row of icons just below your text-entry field – nobody knows what they’re called, and few use or want them). Related: The names of certain Apple “engineers” are built into the internal dictionary and are not marked as misspelled. But we’re at iOS 12 and you’re still permitted to misrender “OK” as Ok or ok , because easy acronymous words like that one (also “btw”) have never been entered into the lexicon. The gold standard here is Undo. You have to shake your iPhone (or giant iPad Pro) to undo an action. You discover this by accident as you get up from a restaurant table with your phone in your hand, only to be greeted with an Undo Typing dialogue box. Unless you are an expert, you have no idea what just happened. If you really want and need the Undo feature, turn it on with AssistiveTouch. But AssistiveTouch itself has a diabolical user interface. Scroll to the top by tapping the clock. (Who would possibly discover that by accident? Somebody had to tell me about it.) Of course there’s no system-wide way to scroll to the bottom, because obviously that will never come up, because obviously no Apple software engineer has had to get to the very end of a list of 250 wedding guests in a hurry. Did you know there’s a user manual? In the iBooks (or is it Books?) Store you can download an iPhone User Guide for each major software version. There are usually iPad and sometimes iPod Touch user guides, too. Once you do that (you won’t), you’ll find that almost nothing I have described here is covered. It does mention the ability to announce who’s calling you, but buries text size in the accessibility gulag, recapitulating the entire problem. I sat and stewed about this posting for months. If nothing else, I need to keep it from becoming a script for a YouTube video about “hidden features” in iOS. iPhones are hard to use.